People who invested in Bitcoin early were really lucky. But what about the rest of us? Have we missed our opportunity? Ethereum, the second largest cryptocurrency out there, is something that you should take a look at if you want to get into something early and reap the rewards later. Some people have dubbed it “The Bitcoin Killer”, and last year Gavin Andresen, a prominent personality in the Bitcoin community, predicted that Ethereum will outgrow Bitcoin. No one knows the future, but Ethereum is definitely showing potential, and has already gone up by more than 5000% this year alone. So what do you need to know about investing in Ethereum? Ethereum’s founder Vitalik Buterin first got interested in cryptocurrencies in 2011, when Bitcoin was still the only game in town. He soon started writing about it. Not long after that, he co-founded the Bitcoin magazine. Buterin saw a lot of unrealized potential in the blockchain technology. In 2013, he travelled the world talking to other cryptocurrency enthusiasts, and when he came back to Toronto, he published a whitepaper introducing the idea of Ethereum. In 2014, he organized an ICO to raise capital, and raised over $18 million, that allowed him to fund the development and launch Ethereum in 2015. Ethereum is a blockchain application platform that offers the so-called smart contracts - contracts executed via blockchain that eliminate a lot of risk for both parties. At the moment, Ethereum has hundreds of apps on its blockchain, and is likely to grow even bigger next year. “So what is the difference between Ethereum and Bitcoin?” you might be wondering. Bitcoin is a digital currency that is meant to function as a legitimate currency, but without any third parties such as banks. Some might argue that by now it’s becoming less like a currency and more like gold in terms of being a store of value that is likely to appreciate in the future. Ethereum is a technology that allows people to build and execute blockchain apps. It’s also a digital currency, but unlike Bitcoin, it’s not only a currency. As Samantha Radocchia explains in her Quora answer that was republished by Forbes, “If Bitcoin was version 1.0, Ethereum is 2.0, allowing for the building of decentralized applications to be built on top of it.”. Cryptocurrencies have seen an incredible growth in 2017. Ethereum has grown from less than $10 to $833. Bitcoin went from less than $1,000 to $18,000. The total market cap for cryptocurrencies is over $354 billion. This astronomical growth makes a lot of people worried that we might be in a cryptocurrency bubble that can pop at any time. IPOs and ICOs. During the dot com bubble, everyone was investing in IPOs of tech companies, without paying much attention to the actual business model. Today, the same is happening with ICOs, where everyone is investing in various tokens without analyzing the business. People are basically buying lottery tickets in hopes of striking it rich instead of investing in carefully chosen assets. Anything that has to do with blockchain increases in value. Another thing that happened during the dot com bubble was that any company that had something to do with the Internet would see it’s value soar. That’s why a lot of companies would add “.com” to their name and see their shares go up in price. The same is happening now with blockchain. Companies are adding “blockchain” to their names and seeing their value go up. Companies that aren’t making money are overvalued. Valuations were way off during the dot com bubble - companies that weren’t making any money were valued at millions just because they were online businesses. Same is happening right now with ICOs where companies without a clear business plan are able to raise millions just because they are using blockchain. As you can see, it’s quite likely that we are in the bubble, and that the bubble will pop at some point. What does that mean for you? It means that when it comes to investing in cryptocurrencies, you should never invest any money that you are not willing to lose. Ethereum’s rise in 2017 hasn’t been without it’s ups and downs. For example, on June 20th, Ethereum was worth $360, but less than a month later, on July 15th, it was only worth $181. That’s a 50% drop! Or, on September 2nd it was worth $377, but dropped all the way down to $289 by September 19th. That’s a drop of 24%. At the moment, Ethereum is sitting at $833, but will it continue rising, or will it drop again sometime soon? No one knows. So, before investing in Ethereum, ask yourself if you can deal with such a high volatility. Are you okay with waking up one morning, taking a look at your portfolio, and seeing that it has lost half of its value? Most importantly, do you have the fortitude to continue holding, until it appreciates again? Once again, never invest more money in cryptocurrencies than you can’t afford to lose, because another steep drop might be just around the corner. ICO stands for Initial Coin Offering and it is a fundraising tool that allows startup to raise capital by issuing and selling their own tokens (coins). It’s safe to say that 2017 was the year of ICOs because a staggering $3 billion was raised this way. Most ICOs use Ethereum as the preferred currency. Bitcoin was created by anonymous developer or a team of developers who have since disappeared from the public eye and left their project in the hands of core development team. There is no clear leader. This might sound romantic in theory, but in practice, it leads to disagreements and lack of efficiency in problem solving. Ethereum, on the other hand, is a completely different story. It was created by Buterin and his team of dedicated developers. The team always had a clear development roadmap. The project has strong leadership and clear direction. Ethereum has seen an enormous growth in 2017. On January 1st, 2017, it only cost $8.22. Today, it’s at $833 That means that if you had invested $1000 in Etherum last January, you’d now have almost $55,000. Does that mean you have missed the boat? Not at all. By our estimates, Ethereum is going to continue rising in 2018, mainly because ICOs and blockchain apps are becoming more and more popular. It might be the best investment of 2018! There’s a lot of talk about “The Flippening”, an unprecedented event in which another cryptocurrency, most likely Ethereum, would overgrow Bitcoin and take over as the leading cryptocurrency. Ethereum has a clear vision, a solid roadmap, and strong leadership. It’s also the cryptocurrency of ICOs, which means that the more ICOs there are, the more valuable Ethereum will be. Meanwhile, Bitcoin, which is still undeniably the king of cryptocurrencies, is experiencing all kinds of problems, most importantly it’s scaling issues. 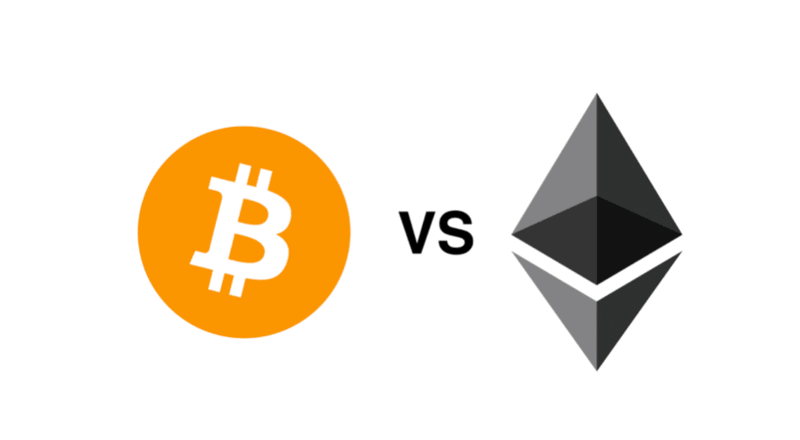 So although Bitcoin still has the leading position, Ethereum might catch up with it, and eventually even surpass it, which would mean a massive payoff for Ethereum investors. When Bitcoin was at $500, there were a lot of people who regretted not getting in early, and thought that they had missed the train. Well, imagine how much they regret it now that it’s up to $15,000! Don’t make the same mistake with Ethereum. Once again, if you had invested $1000 in January 2017, now you’d have close to $55,000. But what if you invest in January 2018? Cryptocurrencies are an extremely volatile market, so there’s no telling how the future will unfold. However, judging by the information we have now, it seems that Ethereum is going to continue it’s steady climb. And who knows, maybe The Flippening will happen in 2018? So think about it. You are not too late. You still have a chance to get into something early. Set aside a chunk of money you can afford to lose if things go south and put it in Ethereum. You will probably be thanking us a year from now!